The future is handmade. This is the real innovation. Today, as the perfection of technology is becoming more human, and men are becoming more robotic, Siba Sahabi (sibasahabi.com), a poetic designer with German and Iranian roots, invites us to contemplate imperfection as the mother of all arts. “Handmade items have an imperfection that gives them a certain quality that industrial-produced products miss,” the artist says. Inspired by a long tradition of ceramics, Sahabi’s intention is to show how cultures can influence each other, helping one another to flourish and unlock their inner richness. 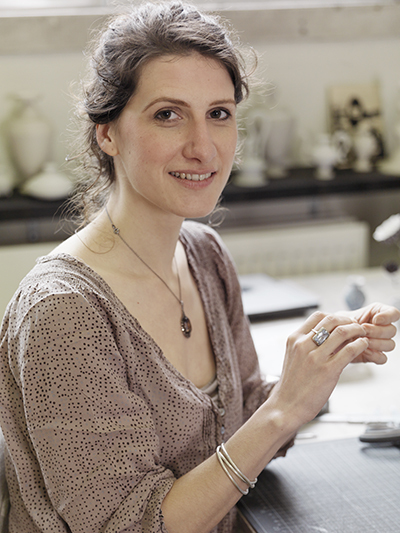 In her Amsterdam-based studio, Sahabi’s daily goal is to search for a link between the European and Middle Eastern cultures, a bridge between two rivers: the ancient Mesopotamian pottery craft combined with the modern Western ceramic approach give to her a unique signature. 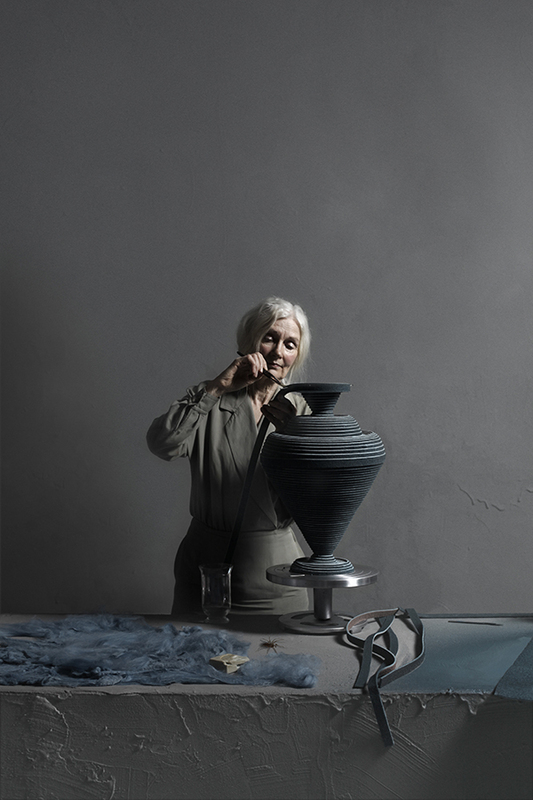 She is internationally known for her circular, ribbed-finish carafes, melted sometimes with felt (from the “Between Two Rivers” collection), sometimes with paper (as in the “Kerameikos” collection). An in-depth study of mythology, Persian legends and historical narrative is another fil rouge that influences Sahabi’s art. “I use mythology, but also historical fragments and legends as sources of inspiration in my work,” she says. Despite of the technologies available nowadays, Sahabi still uses the turntable, an instrument that is no longer employed in the production of contemporary ceramics. Her path of creation is slow and peaceful, in harmony with her personality: when she is working the world becomes a quiet land where everything lives in slow motion. In what ways have Europe and the Middle East influenced each other? Cultures are like landscapes and they change from one scenery into another one. 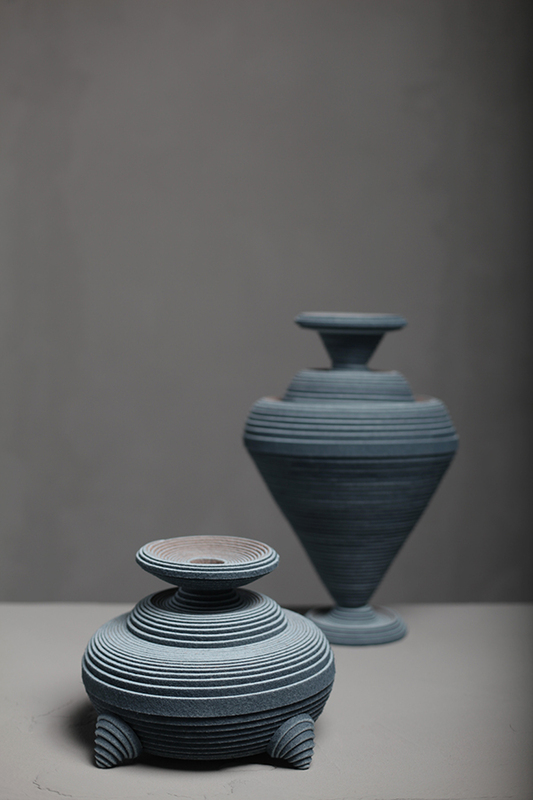 You can see this influence in Bucchero’s ceramics: it is a certain ceramic style of modern-day Toscana, where European knowledge of ceramic production meets the aesthetics of the Middle East. For my work I look for the stories that show those influences. I often translate Middle Eastern aesthetics in a way that is accessible for a European public. I create a connection between historical fragments and contemporary design. Talking about historical fragments, can you explain your interest in mythology and its connection to your work? To which Persian archetype do you feel the closest? I like Schehrazade, the storyteller of One Thousand and One Nights (also called The Arabian Nights). She is a smart lady that knows how to influence, and changed the sultan’s behavior. I found very interesting how the Western interpretation of the story of One Thousand and One Nights and the character of Schehrazade have changed within the centuries and have determined our perception of that region. The image created by the so-called Orientalists relative to the harem, for instance, has never existed in the way they have sketched it. However, in the last three centuries Schehrazade has become a role model for modern women in Western society, giving them the importance of independency and self-determination. I am preparing a new project about design and dance. I will collaborate with an Oriental dancer, filmmaker and photographer. The project will be quite experimental but I am sure it will be interesting working on it. What’s your advice for those who want to follow your path today? It’s pretty much a lifestyle: it is a choice of becoming a creative entrepreneur. I work very hard and many hours per day, but I love my job.